Why is My Property Filled With Mosquitoes? 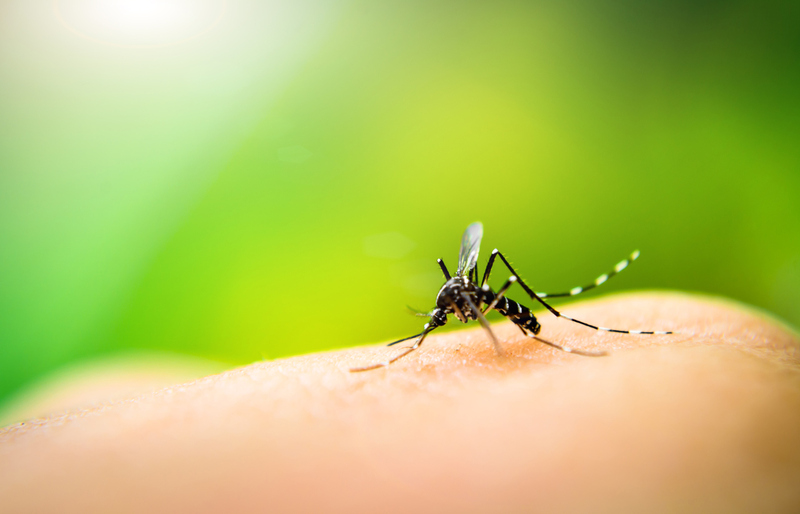 Do you frequently wake up with new mosquito bites during the summertime? This isn’t always because of dumb luck. You probably have a lot of mosquito bites because you’re close to a mosquito breeding ground. How do you know when an area is a mosquito breeding ground? The number one thing mosquitoes need in order to breed (and thrive) is standing water. Mosquitoes will lay their eggs in the water (or close by) and they will hatch in anywhere from a week to 10 days time. Mosquito larvae will continue to stay near this small water supply until they’ve reached adulthood. Therefore, any items on your property that can hold water will attract mosquitoes and become a breeding ground. This includes untreated swimming pools, fountains, bird baths, kiddie pools, empty planters, tires, etc. Anything that holds rainwater like this should be tipped over and emptied out. In addition to these items holding water, they can also hold debris like dead leaves, dirt, trash, mulch, etc. This debris is what adult mosquitoes use as their shelter because it provides them with the shade and moisture they need. Remove debris from your property, as well as cutting back overgrown vegetation. You might be thinking that there’s no place on your property that is filled with debris and standing water — but have you thought about the condition of your gutter system? Gutters that haven’t been cleared of debris, leaves, sticks, etc. can easily stop the flow of rainwater, which will lead to a pooling of water within your gutters. Now you have a breeding ground for mosquitoes attached to your home. This is why you need to have your gutters cleaned annually (and sometimes two to three times per year). If you’re a responsible homeowner and your gutters are free of leaves, make sure they have the proper slope leaning toward the downspouts. Gutters without enough slope toward the downspouts will cause rainwater to pool in the gutters even if there’s no debris blocking the way. If you grab a ladder and climb up to discover standing water in your gutter system, contact your local roofing company ASAP. Not only will mosquitoes begin to breed here, you’ll also be more susceptible to roof leaks — which we all know are the WORST! Put away the citronella candles and start addressing the problem! When you need your gutters repaired or replaced, know that your friends at Landmark Exteriors can handle the job for you. Just give us a call and we’ll head right on over to give your home the gutter system it deserves! Author adminPosted on June 25, 2018 Categories UncategorizedLeave a comment on Why is My Property Filled With Mosquitoes? Is your roof at the age (or isn’t in good enough condition) where it’s no longer protecting your home to the best of its ability? When you contact your favorite, local roofing company, *cough, cough,* make sure you also have your gutter system replaced as well. 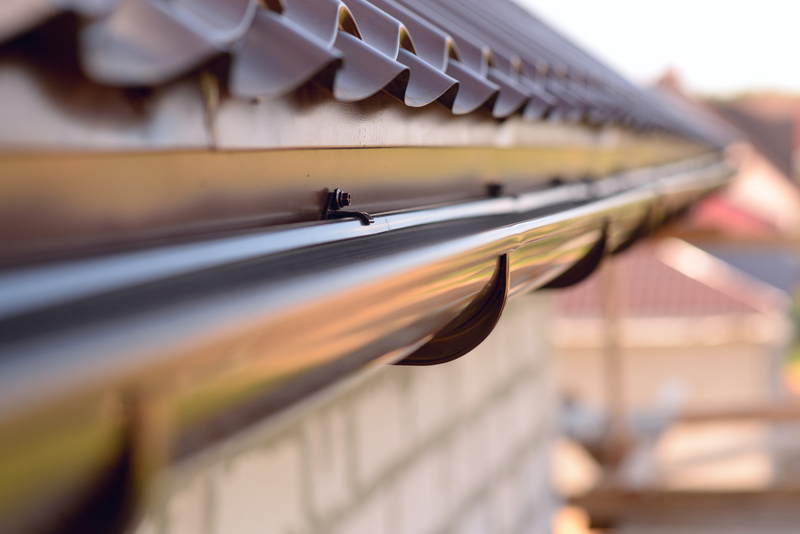 Every home has a gutter system installed (or at least we hope so). However, many homeowners don’t know how important this system is to the health of their home. Yes, the gutter system is designed to direct rainfall from the roof to the ground below. But so many different things can go wrong that will prevent this “simple” task from happening. When your gutter system is clogged with debris or does not have enough slope to drain the water toward the downspout, water will begin to pool. Once the gutter starts to overflow, it can submerge the edge of your roof. Do you know what happens to your roof when its edges become submerged? You’ve guessed it — roof leaks occur! When your gutter system is filled with cracks and holes, isn’t routed properly, and is overflowing due to a clog or improper slope, the water will overflow onto the ground directly beneath the gutters. You might think that this is a good thing because it’s away from your roof, but now you have an entirely new problem — flooding. This flooding can cause potential foundation damage and flooding of your property and basement. One of the smartest moves you can make as a homeowner is to replace your gutter system at the same time you replace your roof. Doing so can help you prevent dealing with roof leaks, flooding, and any other damage to your home. It really makes you rethink the importance of a functional gutter system. When it’s time to replace your roof (and inevitably your gutter system as well), our professional installers here at Landmark Exteriors can do the job for you! We welcome the opportunity to talk with you about your vision for your home, and how our experience can benefit your home!